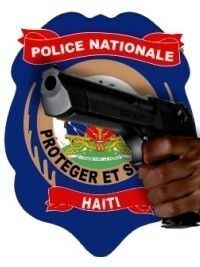 Tuesday in the zone of Jerusalem 7, in the slum of Canaan (Croix des Bouquets), David Pierre a police offcier of the 26th promotion of the National Police of Haiti (PNH) was shot by unidentified individuals. The incident occurred while David Pierre, accompanied by a colleague, was supervising construction work on a family property subject to litigation. His colleague managed to flee during the attack and is safe and sound. Several sources (unofficial source) seem to converge on the thesis of an assassination linked to a land conflict. The Justice of the Peace who drew up the statement confirmed that the Procuratorate of Croix des Bouquets had already opened an investigation.